I hope you don’t spend too much time worrying about making a “new” block. For instance, you could make 4 smaller 6.5-inch unfinished blocks using traditional blocks and sew them together to make a 12.5 inch finished block and it would be unique and new. Thank you Yvonne! I’m feeling better about this whole thing. It is just new for me. Which is a good thing! May August be the month of productivity 🙂 I just got my fabric for the block hop and haven’t been brave enough to open it yet. It’s safer in the package right now. I love that humming bird fabric, what a great find. Oh, these will be fun projects to watch. I love the assortment of fat eighths you got. I agree that designing a block is daunting, but your plan to start with a regular block sounds good. Maybe you could slice it and insert something or use half of it and add part of another block. Anyway, I’m looking forward to seeing what you come up with. 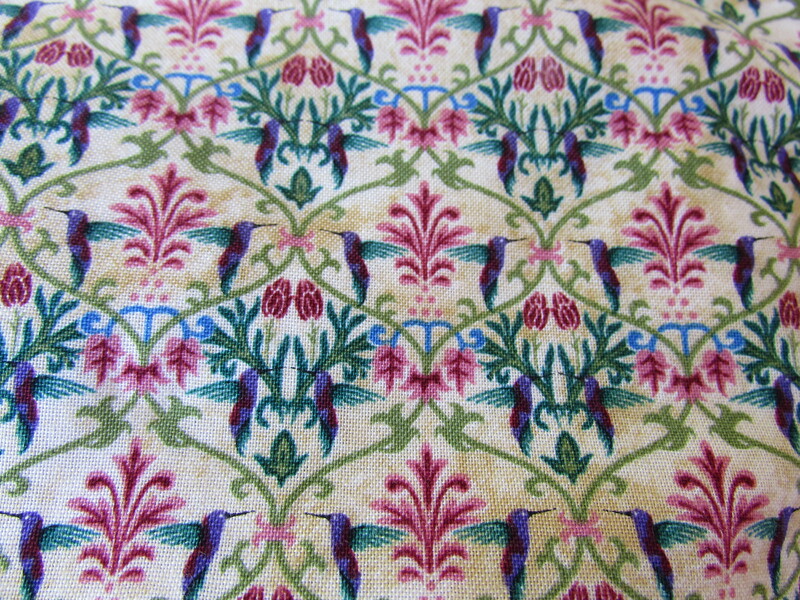 The hummingbird fabric is so pretty. Bravo to your husband for pretty much telling you to go buy fabric! Yes, it is sort of like Ray was encouraging a bit of fabric shopping!! I hadn’t even thought of it that way. 🙂 I keep looking at all of these for the twin size quilts. Large blocks, oversize patchwork, huge stripes? Something simple like that. It will be fun. 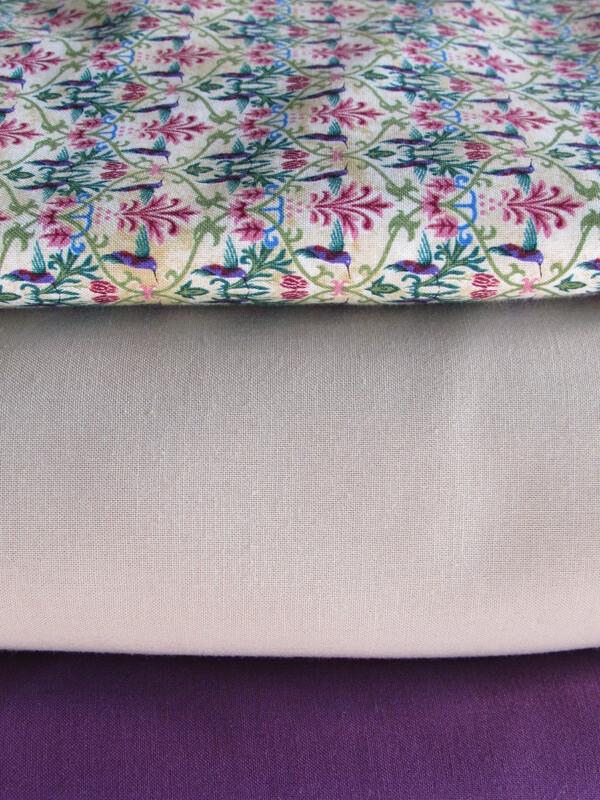 Kind of nuts to just buy three huge pieces but I can supplement it and there was actually plenty of the violet and the hummingbird fabric on the bolt, should I need to get more. It’s funny, I just made a similar post about how busy August is going to be. I’m also participating in the Fabri-Quilt blog hop and have been drafting out various blocks. Now I need to test them out. Good luck, I know you’ll do great! And Yvonn’e idea is a great one. Diana, all of these blocks will be great. It is a fun group to work with for sure! Looking forward to seeing what you come up with. I am off to read about your busy August too. I’m also in shock we’ve turned another page on the calendar. August is one of those big months of mile markers. You seem to have a handle on most of it–better than I do right now. I was making mental notes going through your list. 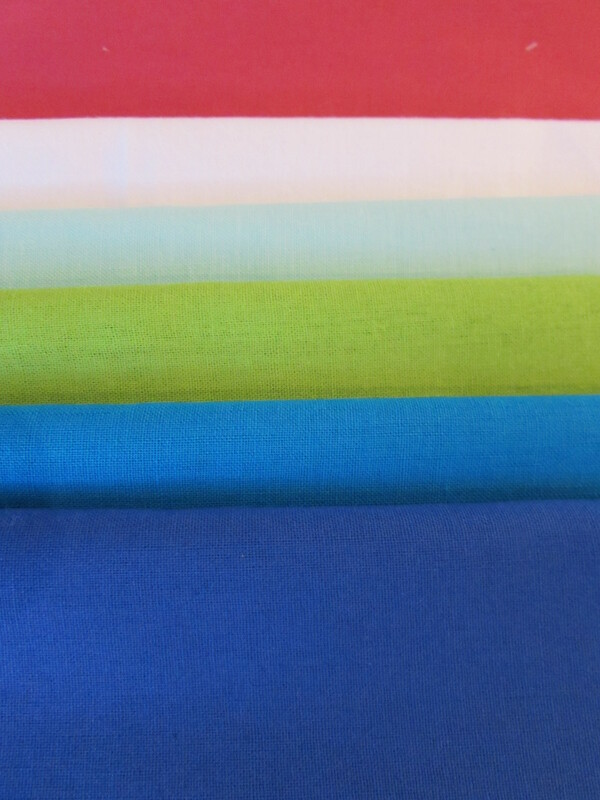 My fabric arrived for this too, but I’m still in the percolating stage of ideas. I try not to get too upset anticipating deadlines. It will come to us both. Good luck with your ideas! This time of year always goes by so fast. School starts and all that comes with it, then it seems like we just cruise into the holidays. Kind of funny. But for now, I have my list of August sewing and I am good to go! My batting didn’t show up today so I made pieces for Etsy. Gotta be flexible! Thank you Deb. The fire that was close to us is all out and they are cleaning up. However there is a massive one 45,000 acres!!) that is about two hours from here. Tons of people evacuated. It’s awful. Praying that this year ends the drought. Four years is long enough. I read this post yesterday and have been thinking about it but just now commenting on it (I know you’re tapping your foot waiting for my comments – lol!) 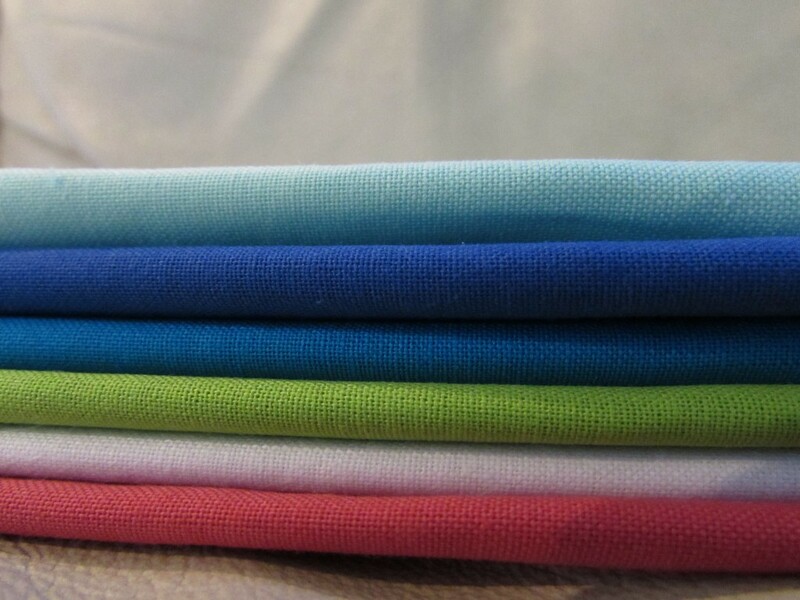 I love, love, love the fabrics you’ve picked for your bedroom quilts and that your husband expected you to make them, or as JanineMarie said, pretty much told you to go buy fabric. The Fabri-Quilt project looks so interesting. I wouldn’t have a clue how to write a pattern. I’m still struggling just trying to read them. 🙂 The fat eighths are gorgeous colors. Has your son seen your Downieville retreat yet? I think you guys need to add some rooms and turn it into a quilters’ retreat center – lol! I do look forward to your comments! I think the colors for the twin quilts will be great. I probably need another fabric with green and tan in the print. I am thinking (at the moment anyways) of doing an oversized rail fence pattern. Maybe with 12″ blocks? I think that could be fun. But I keep looking around and changing my mind. So, we shall see. I am making good progress quilting the double nine patch so I may have time later this month to actually play with the twin quilts.